This professional technical manual contains service, maintenance, and troubleshooting information for your Datsun 1600 Saloon 1968 1969 1970 1971 1972 1973, covering All Models/Engines/Trim/Transmissions Types. This top quality Datsun 1600 Saloon 1968 1969 1970 1971 1972 1973 Workshop Repair Service manual is COMPLETE and INTACT as should be without any MISSING/CORRUPT part or pages. It is the SAME manual used in the local service/repair shop. Datsun 1600 Saloon 1968 1969 1970 1971 1972 1973 manual is guaranteed to be fully funtional to save your precious time. Original Datsun 1600 Saloon 1968 1969 1970 1971 1972 1973 Workshop Service Repair Manual is a Complete Informational Book. At the click of a mouse you have access to the most comprehensive diagnostic, repair and maintenance information as used by professional technicians. Written by the manufacturers, Datsun 1600 Saloon 1968 1969 1970 1971 1972 1973 original workshop manual contain hundreds of pages of diagrams and detailed information for specific vehicle or equipment repair. Datsun 1600 Saloon 1968 1969 1970 1971 1972 1973 Original Service Manual, Wiring Diagrams and Bulletins are the most accurate and complete available. The Datsun 1600 Saloon 1968 1969 1970 1971 1972 1973 sevice manual includes pictures and easy to follow directions on what tools are needed and how the repair is performed. Just imagine how much you can save by doing simple repairs yourself. You can save anywhere from hundreds if not thousands of dollars in repair bills by using this Datsun 1600 Saloon 1968 1969 1970 1971 1972 1973 repair manual / service manual. Many people buy this Datsun 1600 Saloon 1968 1969 1970 1971 1972 1973 service manual just to have it around for when the inevitable happens. Sooner or later, maintenance will need to be performed. Be prepared for it when it happens by simply purchasing this Datsun 1600 Saloon 1968 1969 1970 1971 1972 1973 service manual for later use! See below for a list of items that most of our manuals cover. Some manuals actually cover more items that are not even listed! - This Datsun 1600 Saloon 1968 1969 1970 1971 1972 1973 Workshop Repair Service manual also makes it easy to diagnose and repair problems with your machines electrical system. Whether it is a service manual or repair manual having them in an electronic format is a huge advantage over having a book since there is no getting oil or dirty hands on them. You can simply print of the desired section of your Datsun 1600 Saloon 1968 1969 1970 1971 1972 1973 Workshop Repair Service manual from your PC and throw away once you have completed the repair or service. Really isnt any difference between a paper manual youd buy in stores or a digital manual Datsun 1600 Saloon 1968 1969 1970 1971 1972 1973 you download from the Internet. In some cases, its the same manual. In other cases, it may be the factory manaul, which cant be found in stores. Whether using a paper manual or digital download manual, youll find the same features in both. This manual Datsun 1600 Saloon 1968 1969 1970 1971 1972 1973 includes, step-by-step repair procedures, critical specifications, illustrations or pictures, maintenance, disassembly, assembly, cleaning and reinstalling procedures, and much more. The biggest difference between a paper manual and this digital manual Datsun 1600 Saloon 1968 1969 1970 1971 1972 1973, is you can download the digital version straight to your computer in just seconds and fix your problems now for Datsun 1600 Saloon 1968 1969 1970 1971 1972 1973. 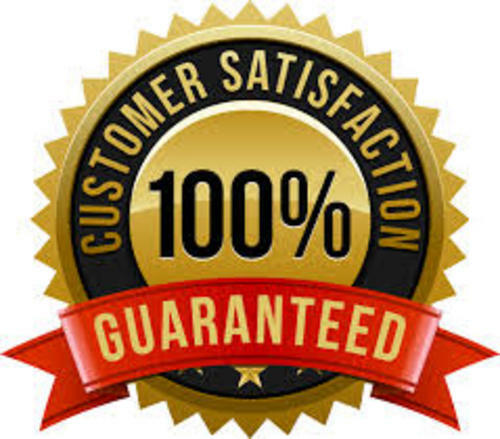 With this Professional Quality, highly detailed Datsun 1600 Saloon 1968 1969 1970 1971 1972 1973 Service Repair Workshop Manual you will be able to work on your vehicle with the absolute best resources available, which will save you a lot of money in repair costs and will also help you to look after your Datsun 1600 Saloon 1968 1969 1970 1971 1972 1973. Datsun 1600 Saloon 1968 1969 1970 1971 1972 1973 Service Repair Manual, Datsun 1600 Saloon 1968 1969 1970 1971 1972 1973 Full Original Manual, Datsun 1600 Saloon 1968 1969 1970 1971 1972 1973 Factory Service Manual, Datsun 1600 Saloon 1968 1969 1970 1971 1972 1973 Workshop Service Manual, Datsun 1600 Saloon 1968 1969 1970 1971 1972 1973 Service Manual, Datsun 1600 Saloon 1968 1969 1970 1971 1972 1973 Repair Manual, Datsun 1600 Saloon 1968 1969 1970 1971 1972 1973 Full Manual, Datsun 1600 Saloon 1968 1969 1970 1971 1972 1973 Digital Manual, Datsun 1600 Saloon 1968 1969 1970 1971 1972 1973 Workshop Manual, Datsun 1600 Saloon 1968 1969 1970 1971 1972 1973 Factory Manual, Datsun 1600 Saloon 1968 1969 1970 1971 1972 1973 Manual Pdf DOwnload, Datsun 1600 Saloon 1968 1969 1970 1971 1972 1973 Factory Repair Manual, Datsun 1600 Saloon 1968 1969 1970 1971 1972 1973 Workshop Repair Manual, Datsun 1600 Saloon 1968 1969 1970 1971 1972 1973 General Information, Datsun 1600 Saloon 1968 1969 1970 1971 1972 1973 Specifications, Datsun 1600 Saloon 1968 1969 1970 1971 1972 1973 Engine Removal, Datsun 1600 Saloon 1968 1969 1970 1971 1972 1973 Wiring Diagrams, Datsun 1600 Saloon 1968 1969 1970 1971 1972 1973 Lube Points, Datsun 1600 Saloon 1968 1969 1970 1971 1972 1973 Oil Types, Datsun 1600 Saloon 1968 1969 1970 1971 1972 1973 Periodic Maintenance and Tune-Up Procedures, Datsun 1600 Saloon 1968 1969 1970 1971 1972 1973 Engine Servicing, Datsun 1600 Saloon 1968 1969 1970 1971 1972 1973 Disassembly, Datsun 1600 Saloon 1968 1969 1970 1971 1972 1973 Reassembly, Datsun 1600 Saloon 1968 1969 1970 1971 1972 1973 Fuel and Lubrication Systems, Datsun 1600 Saloon 1968 1969 1970 1971 1972 1973 Carb Rebuild, Datsun 1600 Saloon 1968 1969 1970 1971 1972 1973 Carb Adjustments, Datsun 1600 Saloon 1968 1969 1970 1971 1972 1973 Electrical System, Datsun 1600 Saloon 1968 1969 1970 1971 1972 1973 Ignition, Datsun 1600 Saloon 1968 1969 1970 1971 1972 1973 Chassis, Datsun 1600 Saloon 1968 1969 1970 1971 1972 1973 Charging, Datsun 1600 Saloon 1968 1969 1970 1971 1972 1973 Starter, Datsun 1600 Saloon 1968 1969 1970 1971 1972 1973 Battery, Datsun 1600 Saloon 1968 1969 1970 1971 1972 1973 Switches, Datsun 1600 Saloon 1968 1969 1970 1971 1972 1973 Wheels, Datsun 1600 Saloon 1968 1969 1970 1971 1972 1973 Brakes, Datsun 1600 Saloon 1968 1969 1970 1971 1972 1973 Steering, Datsun 1600 Saloon 1968 1969 1970 1971 1972 1973 Suspension, Datsun 1600 Saloon 1968 1969 1970 1971 1972 1973 Axles, Datsun 1600 Saloon 1968 1969 1970 1971 1972 1973 Chassis Assembly, Datsun 1600 Saloon 1968 1969 1970 1971 1972 1973 Servicing Information, Datsun 1600 Saloon 1968 1969 1970 1971 1972 1973 Wiring Diagrams, Datsun 1600 Saloon 1968 1969 1970 1971 1972 1973 Service Data, Datsun 1600 Saloon 1968 1969 1970 1971 1972 1973 Wire/Cable/Hose Routing, Datsun 1600 Saloon 1968 1969 1970 1971 1972 1973 Tools, Datsun 1600 Saloon 1968 1969 1970 1971 1972 1973 Tightening Torques, Datsun 1600 Saloon 1968 1969 1970 1971 1972 1973 Complete Engine Service, Datsun 1600 Saloon 1968 1969 1970 1971 1972 1973 Fuel System Service, Datsun 1600 Saloon 1968 1969 1970 1971 1972 1973 All Factory Repair Procedures, Datsun 1600 Saloon 1968 1969 1970 1971 1972 1973 Gearbox, Datsun 1600 Saloon 1968 1969 1970 1971 1972 1973 Exhaust System, Datsun 1600 Saloon 1968 1969 1970 1971 1972 1973 Suspension, Datsun 1600 Saloon 1968 1969 1970 1971 1972 1973 Fault Finding, Datsun 1600 Saloon 1968 1969 1970 1971 1972 1973 Clutch Removal and Installation, Datsun 1600 Saloon 1968 1969 1970 1971 1972 1973 Transmission, Datsun 1600 Saloon 1968 1969 1970 1971 1972 1973 Front Suspension, Datsun 1600 Saloon 1968 1969 1970 1971 1972 1973 Bodywork, Datsun 1600 Saloon 1968 1969 1970 1971 1972 1973 Gearbox Service, Datsun 1600 Saloon 1968 1969 1970 1971 1972 1973 Gearbox Removal and Installation, Datsun 1600 Saloon 1968 1969 1970 1971 1972 1973 Cooling System, Datsun 1600 Saloon 1968 1969 1970 1971 1972 1973 Detailed Specifications, Datsun 1600 Saloon 1968 1969 1970 1971 1972 1973 Factory Maintenance Schedules, Datsun 1600 Saloon 1968 1969 1970 1971 1972 1973 Electrics, Datsun 1600 Saloon 1968 1969 1970 1971 1972 1973 Engine Firing Order, Datsun 1600 Saloon 1968 1969 1970 1971 1972 1973 Brake Servicing Procedures, Datsun 1600 Saloon 1968 1969 1970 1971 1972 1973 U-Joint Service Procedures, Datsun 1600 Saloon 1968 1969 1970 1971 1972 1973 CV Joint Service Procedures, Datsun 1600 Saloon 1968 1969 1970 1971 1972 1973 Timing Chain Service, Datsun 1600 Saloon 1968 1969 1970 1971 1972 1973 Exhaust Service, Datsun 1600 Saloon 1968 1969 1970 1971 1972 1973 Service Repair Manual, Datsun 1600 Saloon 1968 1969 1970 1971 1972 1973 Full Original Manual, Datsun 1600 Saloon 1968 1969 1970 1971 1972 1973 Factory Service Manual, Datsun 1600 Saloon 1968 1969 1970 1971 1972 1973 Workshop Service Manual, Datsun 1600 Saloon 1968 1969 1970 1971 1972 1973 Service Manual, Datsun 1600 Saloon 1968 1969 1970 1971 1972 1973 Repair Manual, Datsun 1600 Saloon 1968 1969 1970 1971 1972 1973 Full Manual, Datsun 1600 Saloon 1968 1969 1970 1971 1972 1973 Digital Manual, Datsun 1600 Saloon 1968 1969 1970 1971 1972 1973 Workshop Manual, Datsun 1600 Saloon 1968 1969 1970 1971 1972 1973 Factory Manual, Datsun 1600 Saloon 1968 1969 1970 1971 1972 1973 Manual Pdf DOwnload, Datsun 1600 Saloon 1968 1969 1970 1971 1972 1973 Factory Repair Manual, Datsun 1600 Saloon 1968 1969 1970 1971 1972 1973 Workshop Repair Manual. Datsun 1600 Saloon 1968 1969 1970 1971 1972 1973 Workshop Service Repair Manual, Datsun 1600 Saloon 1968 1969 1970 1971 1972 1973 Full Original Service Repair Manual, Datsun 1600 Saloon 1968 1969 1970 1971 1972 1973 Factory Service Manual, Datsun 1600 Saloon 1968 1969 1970 1971 1972 1973 Workshop Service Manual, Datsun 1600 Saloon 1968 1969 1970 1971 1972 1973 Service Manual, Datsun 1600 Saloon 1968 1969 1970 1971 1972 1973 Repair Manual, Datsun 1600 Saloon 1968 1969 1970 1971 1972 1973 Full Manual, Datsun 1600 Saloon 1968 1969 1970 1971 1972 1973 Digital Manual, Datsun 1600 Saloon 1968 1969 1970 1971 1972 1973 Workshop Manual, Datsun 1600 Saloon 1968 1969 1970 1971 1972 1973 Factory Manual, Datsun 1600 Saloon 1968 1969 1970 1971 1972 1973 Manual Pdf DOwnload, Datsun 1600 Saloon 1968 1969 1970 1971 1972 1973 Factory Repair Manual, Datsun 1600 Saloon 1968 1969 1970 1971 1972 1973 Workshop Repair Manual Datsun 1600 Saloon 1968 1969 1970 1971 1972 1973 General Information, Datsun 1600 Saloon 1968 1969 1970 1971 1972 1973 Specifications, Datsun 1600 Saloon 1968 1969 1970 1971 1972 1973 Engine Removal, Datsun 1600 Saloon 1968 1969 1970 1971 1972 1973 Wiring Diagrams, Datsun 1600 Saloon 1968 1969 1970 1971 1972 1973 Lube Points, Datsun 1600 Saloon 1968 1969 1970 1971 1972 1973 Oil Types, Datsun 1600 Saloon 1968 1969 1970 1971 1972 1973 Periodic Maintenance and Tune-Up Procedures, Datsun 1600 Saloon 1968 1969 1970 1971 1972 1973 Engine Servicing, Datsun 1600 Saloon 1968 1969 1970 1971 1972 1973 Disassembly, Datsun 1600 Saloon 1968 1969 1970 1971 1972 1973 Reassembly, Datsun 1600 Saloon 1968 1969 1970 1971 1972 1973 Fuel and Lubrication Systems, Datsun 1600 Saloon 1968 1969 1970 1971 1972 1973 Carb Rebuild, Datsun 1600 Saloon 1968 1969 1970 1971 1972 1973 Carb Adjustments, Datsun 1600 Saloon 1968 1969 1970 1971 1972 1973 Electrical System, Datsun 1600 Saloon 1968 1969 1970 1971 1972 1973 Ignition, Datsun 1600 Saloon 1968 1969 1970 1971 1972 1973 Chassis, Datsun 1600 Saloon 1968 1969 1970 1971 1972 1973 Charging, Datsun 1600 Saloon 1968 1969 1970 1971 1972 1973 Starter, Datsun 1600 Saloon 1968 1969 1970 1971 1972 1973 Battery, Datsun 1600 Saloon 1968 1969 1970 1971 1972 1973 Switches, Datsun 1600 Saloon 1968 1969 1970 1971 1972 1973 Wheels, Datsun 1600 Saloon 1968 1969 1970 1971 1972 1973 Brakes, Datsun 1600 Saloon 1968 1969 1970 1971 1972 1973 Steering, Datsun 1600 Saloon 1968 1969 1970 1971 1972 1973 Suspension, Datsun 1600 Saloon 1968 1969 1970 1971 1972 1973 Axles, Datsun 1600 Saloon 1968 1969 1970 1971 1972 1973 Chassis Assembly, Datsun 1600 Saloon 1968 1969 1970 1971 1972 1973 Servicing Information, Datsun 1600 Saloon 1968 1969 1970 1971 1972 1973 Wiring Diagrams, Datsun 1600 Saloon 1968 1969 1970 1971 1972 1973 Service Data, Datsun 1600 Saloon 1968 1969 1970 1971 1972 1973 Wire/Cable/Hose Routing, Datsun 1600 Saloon 1968 1969 1970 1971 1972 1973 Tools, Datsun 1600 Saloon 1968 1969 1970 1971 1972 1973 Tightening Torques, Datsun 1600 Saloon 1968 1969 1970 1971 1972 1973 Complete Engine Service, Datsun 1600 Saloon 1968 1969 1970 1971 1972 1973 Fuel System Service, Datsun 1600 Saloon 1968 1969 1970 1971 1972 1973 All Factory Repair Procedures, Datsun 1600 Saloon 1968 1969 1970 1971 1972 1973 Gearbox, Datsun 1600 Saloon 1968 1969 1970 1971 1972 1973 Exhaust System, Datsun 1600 Saloon 1968 1969 1970 1971 1972 1973 Suspension, Datsun 1600 Saloon 1968 1969 1970 1971 1972 1973 Fault Finding, Datsun 1600 Saloon 1968 1969 1970 1971 1972 1973 Clutch Removal and Installation, Datsun 1600 Saloon 1968 1969 1970 1971 1972 1973 Transmission, Datsun 1600 Saloon 1968 1969 1970 1971 1972 1973 Front Suspension, Datsun 1600 Saloon 1968 1969 1970 1971 1972 1973 Bodywork, Datsun 1600 Saloon 1968 1969 1970 1971 1972 1973 Gearbox Service, Datsun 1600 Saloon 1968 1969 1970 1971 1972 1973 Gearbox Removal and Installation, Datsun 1600 Saloon 1968 1969 1970 1971 1972 1973 Cooling System, Datsun 1600 Saloon 1968 1969 1970 1971 1972 1973 Detailed Specifications, Datsun 1600 Saloon 1968 1969 1970 1971 1972 1973 Factory Maintenance Schedules, Datsun 1600 Saloon 1968 1969 1970 1971 1972 1973 Electrics, Datsun 1600 Saloon 1968 1969 1970 1971 1972 1973 Engine Firing Order, Datsun 1600 Saloon 1968 1969 1970 1971 1972 1973 Brake Servicing Procedures, Datsun 1600 Saloon 1968 1969 1970 1971 1972 1973 U-Joint Service Procedures, Datsun 1600 Saloon 1968 1969 1970 1971 1972 1973 CV Joint Service Procedures, Datsun 1600 Saloon 1968 1969 1970 1971 1972 1973 Timing Chain Service, Datsun 1600 Saloon 1968 1969 1970 1971 1972 1973 Exhaust Service Datsun 1600 Saloon 1968 1969 1970 1971 1972 1973 General Information Datsun 1600 Saloon 1968 1969 1970 1971 1972 1973 Engine Mechanical System Datsun 1600 Saloon 1968 1969 1970 1971 1972 1973 Engine Electrical System Datsun 1600 Saloon 1968 1969 1970 1971 1972 1973 Emission Control System Datsun 1600 Saloon 1968 1969 1970 1971 1972 1973 Fuel System Datsun 1600 Saloon 1968 1969 1970 1971 1972 1973 Clutch System Datsun 1600 Saloon 1968 1969 1970 1971 1972 1973 Manual Transaxle System Datsun 1600 Saloon 1968 1969 1970 1971 1972 1973 Automatic Transaxle System Datsun 1600 Saloon 1968 1969 1970 1971 1972 1973 Driveshaft and axle Datsun 1600 Saloon 1968 1969 1970 1971 1972 1973 Suspension System Datsun 1600 Saloon 1968 1969 1970 1971 1972 1973 Steering System Datsun 1600 Saloon 1968 1969 1970 1971 1972 1973 Restraint Datsun 1600 Saloon 1968 1969 1970 1971 1972 1973 Brake System Datsun 1600 Saloon 1968 1969 1970 1971 1972 1973 Body (Interior and Exterior) Datsun 1600 Saloon 1968 1969 1970 1971 1972 1973 Body Electrical System Datsun 1600 Saloon 1968 1969 1970 1971 1972 1973 Heating,Ventilation, Air Conditioning Datsun 1600 Saloon 1968 1969 1970 1971 1972 1973 Lubrication & Maintenance Datsun 1600 Saloon 1968 1969 1970 1971 1972 1973 Suspension Datsun 1600 Saloon 1968 1969 1970 1971 1972 1973 Differential & Driveline Datsun 1600 Saloon 1968 1969 1970 1971 1972 1973 Vehicle Quick Reference Datsun 1600 Saloon 1968 1969 1970 1971 1972 1973 Brakes Datsun 1600 Saloon 1968 1969 1970 1971 1972 1973 Cooling Datsun 1600 Saloon 1968 1969 1970 1971 1972 1973 Audio/Video Datsun 1600 Saloon 1968 1969 1970 1971 1972 1973 Chime/Buzzer Datsun 1600 Saloon 1968 1969 1970 1971 1972 1973 Electronic Control Modules Datsun 1600 Saloon 1968 1969 1970 1971 1972 1973 Engine Systems Datsun 1600 Saloon 1968 1969 1970 1971 1972 1973 Heated Systems Datsun 1600 Saloon 1968 1969 1970 1971 1972 1973 Horn Datsun 1600 Saloon 1968 1969 1970 1971 1972 1973 Ignition Control Datsun 1600 Saloon 1968 1969 1970 1971 1972 1973 Instrument Cluster Datsun 1600 Saloon 1968 1969 1970 1971 1972 1973 Lamps Datsun 1600 Saloon 1968 1969 1970 1971 1972 1973 Message Systems Datsun 1600 Saloon 1968 1969 1970 1971 1972 1973 Power Systems Datsun 1600 Saloon 1968 1969 1970 1971 1972 1973 Restraints Datsun 1600 Saloon 1968 1969 1970 1971 1972 1973 Speed Control Datsun 1600 Saloon 1968 1969 1970 1971 1972 1973 Vehicle Theft Security Datsun 1600 Saloon 1968 1969 1970 1971 1972 1973 Wipers/Washers Datsun 1600 Saloon 1968 1969 1970 1971 1972 1973 Navigation/Telecommunication Datsun 1600 Saloon 1968 1969 1970 1971 1972 1973 Wiring Datsun 1600 Saloon 1968 1969 1970 1971 1972 1973 Engine Datsun 1600 Saloon 1968 1969 1970 1971 1972 1973 Exhaust System Datsun 1600 Saloon 1968 1969 1970 1971 1972 1973 Frame & Bumpers Datsun 1600 Saloon 1968 1969 1970 1971 1972 1973 Fuel System Datsun 1600 Saloon 1968 1969 1970 1971 1972 1973 Steering Datsun 1600 Saloon 1968 1969 1970 1971 1972 1973 Automatic Transmission Datsun 1600 Saloon 1968 1969 1970 1971 1972 1973 Tires/Wheels Datsun 1600 Saloon 1968 1969 1970 1971 1972 1973 Heating & Air Conditioning Datsun 1600 Saloon 1968 1969 1970 1971 1972 1973 Emissions Control Datsun 1600 Saloon 1968 1969 1970 1971 1972 1973 Component and System Index Datsun 1600 Saloon 1968 1969 1970 1971 1972 1973 DTC Index Datsun 1600 Saloon 1968 1969 1970 1971 1972 1973 General Information Datsun 1600 Saloon 1968 1969 1970 1971 1972 1973 Engine Mechanical Datsun 1600 Saloon 1968 1969 1970 1971 1972 1973 Fii inventiv Datsun 1600 Saloon 1968 1969 1970 1971 1972 1973 Engine Lubrication System Datsun 1600 Saloon 1968 1969 1970 1971 1972 1973 Engine Cooling System Datsun 1600 Saloon 1968 1969 1970 1971 1972 1973 Engine Control System Datsun 1600 Saloon 1968 1969 1970 1971 1972 1973 Fuel System Datsun 1600 Saloon 1968 1969 1970 1971 1972 1973 Exhaust System Datsun 1600 Saloon 1968 1969 1970 1971 1972 1973 Starting System Datsun 1600 Saloon 1968 1969 1970 1971 1972 1973 Accelerator Control System Datsun 1600 Saloon 1968 1969 1970 1971 1972 1973 Vehicle Quick Reference Datsun 1600 Saloon 1968 1969 1970 1971 1972 1973 Brakes Datsun 1600 Saloon 1968 1969 1970 1971 1972 1973 Cooling Datsun 1600 Saloon 1968 1969 1970 1971 1972 1973 Audio/Video Datsun 1600 Saloon 1968 1969 1970 1971 1972 1973 Chime/Buzzer Datsun 1600 Saloon 1968 1969 1970 1971 1972 1973 Electronic Control Modules Datsun 1600 Saloon 1968 1969 1970 1971 1972 1973 Engine Systems Datsun 1600 Saloon 1968 1969 1970 1971 1972 1973 Heated Systems Datsun 1600 Saloon 1968 1969 1970 1971 1972 1973 Horn Datsun 1600 Saloon 1968 1969 1970 1971 1972 1973 Ignition Control Datsun 1600 Saloon 1968 1969 1970 1971 1972 1973 Instrument Cluster Datsun 1600 Saloon 1968 1969 1970 1971 1972 1973 Lamps Datsun 1600 Saloon 1968 1969 1970 1971 1972 1973 Message Systems Datsun 1600 Saloon 1968 1969 1970 1971 1972 1973 Power Systems Datsun 1600 Saloon 1968 1969 1970 1971 1972 1973 Clutch Datsun 1600 Saloon 1968 1969 1970 1971 1972 1973 Transaxle and Transmission Datsun 1600 Saloon 1968 1969 1970 1971 1972 1973 Driveline Datsun 1600 Saloon 1968 1969 1970 1971 1972 1973 Front Axle Datsun 1600 Saloon 1968 1969 1970 1971 1972 1973 Rear Axle Datsun 1600 Saloon 1968 1969 1970 1971 1972 1973 Front Suspension Datsun 1600 Saloon 1968 1969 1970 1971 1972 1973 Rear Suspension Datsun 1600 Saloon 1968 1969 1970 1971 1972 1973 Road Wheels and Tires Datsun 1600 Saloon 1968 1969 1970 1971 1972 1973 Brake System Datsun 1600 Saloon 1968 1969 1970 1971 1972 1973 Parking Brake System Datsun 1600 Saloon 1968 1969 1970 1971 1972 1973 Brake Control System Datsun 1600 Saloon 1968 1969 1970 1971 1972 1973 Steering System Datsun 1600 Saloon 1968 1969 1970 1971 1972 1973 Steering Control System Datsun 1600 Saloon 1968 1969 1970 1971 1972 1973 Seat Belt Datsun 1600 Saloon 1968 1969 1970 1971 1972 1973 Seat Belt Control System Datsun 1600 Saloon 1968 1969 1970 1971 1972 1973 SRS Airbag Datsun 1600 Saloon 1968 1969 1970 1971 1972 1973 SRS Airbag Control System Datsun 1600 Saloon 1968 1969 1970 1971 1972 1973 Ventilation System Datsun 1600 Saloon 1968 1969 1970 1971 1972 1973 Heater and Air Conditioning System Datsun 1600 Saloon 1968 1969 1970 1971 1972 1973 Heater and Air Conditioning Control System Datsun 1600 Saloon 1968 1969 1970 1971 1972 1973 Interior Datsun 1600 Saloon 1968 1969 1970 1971 1972 1973 Instrument Panel Datsun 1600 Saloon 1968 1969 1970 1971 1972 1973 Seat Datsun 1600 Saloon 1968 1969 1970 1971 1972 1973 Automatic Drive Positioner Datsun 1600 Saloon 1968 1969 1970 1971 1972 1973 Door and Lock Datsun 1600 Saloon 1968 1969 1970 1971 1972 1973 Security Control System Datsun 1600 Saloon 1968 1969 1970 1971 1972 1973 Glass and Window System Datsun 1600 Saloon 1968 1969 1970 1971 1972 1973 Power Window Control System Datsun 1600 Saloon 1968 1969 1970 1971 1972 1973 Roof Datsun 1600 Saloon 1968 1969 1970 1971 1972 1973 Exterior Datsun 1600 Saloon 1968 1969 1970 1971 1972 1973 Body Repair Datsun 1600 Saloon 1968 1969 1970 1971 1972 1973 Mirrors Datsun 1600 Saloon 1968 1969 1970 1971 1972 1973 Exterior Lighting System Datsun 1600 Saloon 1968 1969 1970 1971 1972 1973 Interior Lighting System Datsun 1600 Saloon 1968 1969 1970 1971 1972 1973 Wiper and Washer Datsun 1600 Saloon 1968 1969 1970 1971 1972 1973 Defogger Datsun 1600 Saloon 1968 1969 1970 1971 1972 1973 Horn Datsun 1600 Saloon 1968 1969 1970 1971 1972 1973 Power Outlet Datsun 1600 Saloon 1968 1969 1970 1971 1972 1973 Body Control System Datsun 1600 Saloon 1968 1969 1970 1971 1972 1973 Te-am prins Datsun 1600 Saloon 1968 1969 1970 1971 1972 1973 LAN System Datsun 1600 Saloon 1968 1969 1970 1971 1972 1973 Power Control System Datsun 1600 Saloon 1968 1969 1970 1971 1972 1973 Charging System Datsun 1600 Saloon 1968 1969 1970 1971 1972 1973 Power Supply, Ground and Circuit Elements Datsun 1600 Saloon 1968 1969 1970 1971 1972 1973 Meter, Warning Lamp and Indicator Datsun 1600 Saloon 1968 1969 1970 1971 1972 1973 Warning Chime System Datsun 1600 Saloon 1968 1969 1970 1971 1972 1973 Sonar System Datsun 1600 Saloon 1968 1969 1970 1971 1972 1973 Audio Datsun 1600 Saloon 1968 1969 1970 1971 1972 1973 Visual and Navigation System Datsun 1600 Saloon 1968 1969 1970 1971 1972 1973 Cruise Control System Datsun 1600 Saloon 1968 1969 1970 1971 1972 1973 Servicing Datsun 1600 Saloon 1968 1969 1970 1971 1972 1973 Clutch Datsun 1600 Saloon 1968 1969 1970 1971 1972 1973 Transmission Datsun 1600 Saloon 1968 1969 1970 1971 1972 1973 Cooling systems Datsun 1600 Saloon 1968 1969 1970 1971 1972 1973 Fuel & Exhaust Datsun 1600 Saloon 1968 1969 1970 1971 1972 1973 Ignition & electrical Datsun 1600 Saloon 1968 1969 1970 1971 1972 1973 Wheels & tyres Datsun 1600 Saloon 1968 1969 1970 1971 1972 1973 Steering Datsun 1600 Saloon 1968 1969 1970 1971 1972 1973 Suspension Datsun 1600 Saloon 1968 1969 1970 1971 1972 1973 Wiring diagrams Datsun 1600 Saloon 1968 1969 1970 1971 1972 1973 Troubleshooting Datsun 1600 Saloon 1968 1969 1970 1971 1972 1973 Care and Safety Datsun 1600 Saloon 1968 1969 1970 1971 1972 1973 Routine Maintenance Datsun 1600 Saloon 1968 1969 1970 1971 1972 1973 Attachments Datsun 1600 Saloon 1968 1969 1970 1971 1972 1973 Body and Framework Datsun 1600 Saloon 1968 1969 1970 1971 1972 1973 Electrics Datsun 1600 Saloon 1968 1969 1970 1971 1972 1973 Controls Datsun 1600 Saloon 1968 1969 1970 1971 1972 1973 Hydraulics Datsun 1600 Saloon 1968 1969 1970 1971 1972 1973 Gearboxes Datsun 1600 Saloon 1968 1969 1970 1971 1972 1973 Track Datsun 1600 Saloon 1968 1969 1970 1971 1972 1973 Running Gear Datsun 1600 Saloon 1968 1969 1970 1971 1972 1973 Front Axle Datsun 1600 Saloon 1968 1969 1970 1971 1972 1973 Rear Axle Datsun 1600 Saloon 1968 1969 1970 1971 1972 1973 Front Suspension Datsun 1600 Saloon 1968 1969 1970 1971 1972 1973 Rear Suspension Datsun 1600 Saloon 1968 1969 1970 1971 1972 1973 Road Wheels and Tires Datsun 1600 Saloon 1968 1969 1970 1971 1972 1973 Brake System Datsun 1600 Saloon 1968 1969 1970 1971 1972 1973 Parking Brake System Datsun 1600 Saloon 1968 1969 1970 1971 1972 1973 Brake Control System Datsun 1600 Saloon 1968 1969 1970 1971 1972 1973 Steering System Datsun 1600 Saloon 1968 1969 1970 1971 1972 1973 Steering Control System Datsun 1600 Saloon 1968 1969 1970 1971 1972 1973 Seat Belt Datsun 1600 Saloon 1968 1969 1970 1971 1972 1973 Seat Belt Control System Datsun 1600 Saloon 1968 1969 1970 1971 1972 1973 SRS Airbag Datsun 1600 Saloon 1968 1969 1970 1971 1972 1973 SRS Airbag Control System Datsun 1600 Saloon 1968 1969 1970 1971 1972 1973 Ventilation System Datsun 1600 Saloon 1968 1969 1970 1971 1972 1973 Heater and Air Conditioning System Datsun 1600 Saloon 1968 1969 1970 1971 1972 1973 Heater and Air Conditioning Control System Datsun 1600 Saloon 1968 1969 1970 1971 1972 1973 Interior Datsun 1600 Saloon 1968 1969 1970 1971 1972 1973 Instrument Panel Datsun 1600 Saloon 1968 1969 1970 1971 1972 1973 Seat Datsun 1600 Saloon 1968 1969 1970 1971 1972 1973 Automatic Drive Positioner Datsun 1600 Saloon 1968 1969 1970 1971 1972 1973 Door and Lock Datsun 1600 Saloon 1968 1969 1970 1971 1972 1973 Security Control System Datsun 1600 Saloon 1968 1969 1970 1971 1972 1973 Glass and Window System Datsun 1600 Saloon 1968 1969 1970 1971 1972 1973 Power Window Control System Datsun 1600 Saloon 1968 1969 1970 1971 1972 1973 Roof Datsun 1600 Saloon 1968 1969 1970 1971 1972 1973 Exterior Datsun 1600 Saloon 1968 1969 1970 1971 1972 1973 Body Repair Datsun 1600 Saloon 1968 1969 1970 1971 1972 1973 Mirrors Datsun 1600 Saloon 1968 1969 1970 1971 1972 1973 Exterior Lighting System Datsun 1600 Saloon 1968 1969 1970 1971 1972 1973 Interior Lighting System Datsun 1600 Saloon 1968 1969 1970 1971 1972 1973 Wiper and Washer Datsun 1600 Saloon 1968 1969 1970 1971 1972 1973 Defogger Datsun 1600 Saloon 1968 1969 1970 1971 1972 1973 Horn Datsun 1600 Saloon 1968 1969 1970 1971 1972 1973 Power Outlet Datsun 1600 Saloon 1968 1969 1970 1971 1972 1973 Body Control System Datsun 1600 Saloon 1968 1969 1970 1971 1972 1973 LAN System Datsun 1600 Saloon 1968 1969 1970 1971 1972 1973 Power Control System Datsun 1600 Saloon 1968 1969 1970 1971 1972 1973 Charging System Datsun 1600 Saloon 1968 1969 1970 1971 1972 1973 Power Supply, Ground and Circuit Elements Datsun 1600 Saloon 1968 1969 1970 1971 1972 1973 Meter, Warning Lamp and Indicator Datsun 1600 Saloon 1968 1969 1970 1971 1972 1973 Warning Chime System Datsun 1600 Saloon 1968 1969 1970 1971 1972 1973 Sonar System Datsun 1600 Saloon 1968 1969 1970 1971 1972 1973 Audio Datsun 1600 Saloon 1968 1969 1970 1971 1972 1973 Visual and Navigation System Datsun 1600 Saloon 1968 1969 1970 1971 1972 1973 Cruise Control System Datsun 1600 Saloon 1968 1969 1970 1971 1972 1973 Servicing Datsun 1600 Saloon 1968 1969 1970 1971 1972 1973 Clutch Datsun 1600 Saloon 1968 1969 1970 1971 1972 1973 Transmission Datsun 1600 Saloon 1968 1969 1970 1971 1972 1973 Cooling systems Datsun 1600 Saloon 1968 1969 1970 1971 1972 1973 Fuel & Exhaust Datsun 1600 Saloon 1968 1969 1970 1971 1972 1973 Ignition & electrical Datsun 1600 Saloon 1968 1969 1970 1971 1972 1973 Wheels & tyres Datsun 1600 Saloon 1968 1969 1970 1971 1972 1973 Steering Datsun 1600 Saloon 1968 1969 1970 1971 1972 1973 Suspension Datsun 1600 Saloon 1968 1969 1970 1971 1972 1973 Wiring diagrams Datsun 1600 Saloon 1968 1969 1970 1971 1972 1973 Troubleshooting Datsun 1600 Saloon 1968 1969 1970 1971 1972 1973 Care and Safety Datsun 1600 Saloon 1968 1969 1970 1971 1972 1973 Routine Maintenance Datsun 1600 Saloon 1968 1969 1970 1971 1972 1973 Attachments Datsun 1600 Saloon 1968 1969 1970 1971 1972 1973 Body and Framework Datsun 1600 Saloon 1968 1969 1970 1971 1972 1973 Electric Datsun 1600 Saloon 1968 1969 1970 1971 1972 1973 DTC Index Datsun 1600 Saloon 1968 1969 1970 1971 1972 1973 General Information Datsun 1600 Saloon 1968 1969 1970 1971 1972 1973 Engine Mechanical Datsun 1600 Saloon 1968 1969 1970 1971 1972 1973 Engine Lubrication System Datsun 1600 Saloon 1968 1969 1970 1971 1972 1973 Engine Cooling System Datsun 1600 Saloon 1968 1969 1970 1971 1972 1973 Engine Control System Datsun 1600 Saloon 1968 1969 1970 1971 1972 1973 Fuel System Datsun 1600 Saloon 1968 1969 1970 1971 1972 1973 Exhaust System.